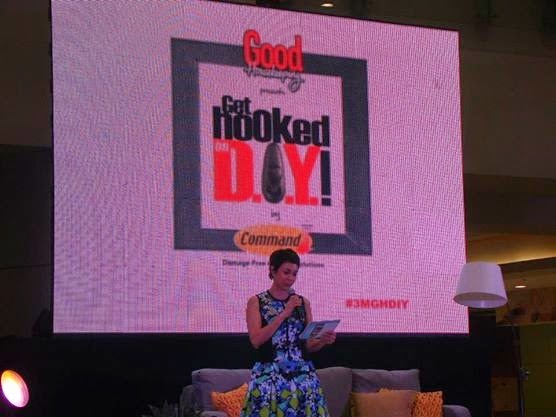 Last April 13, 2014, Get Hooked on DIY event was held at the SM Mega Mall Activity Center through the efforts of Good Housekeeping in cooperation with 3M Command™ Hooks. The home decorating workshop was hosted Angel Jacob. 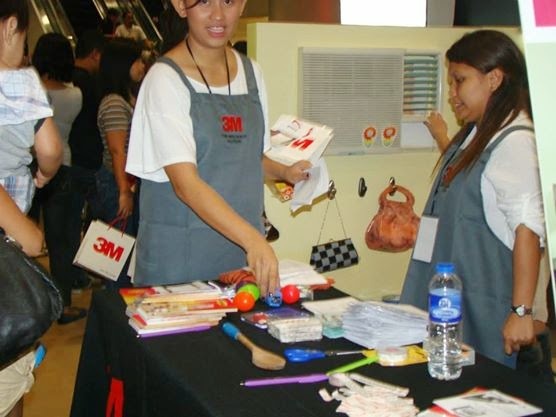 The said activity is a series of home decorating and organization workshops that help individuals decorate, tidy-up and organize their homes, condominiums, kitchen, or offices using Command™ Damage-Free Hanging Solutions from 3M. At the fair, guests were asked to visit 5 booths to watch demonstrations on how easy it is to use Command™ General Hooks, Decorative and Metal Hooks, and Picture and Frame Hangers Products at home and office. With Command™ Decorative hooks, you can hang any accessory anywhere with no damage to your walls should you decide to remove the hooks. The hooks can be re-attached to walls or ceramic and wooden tiles using Command™ Refill Strips. 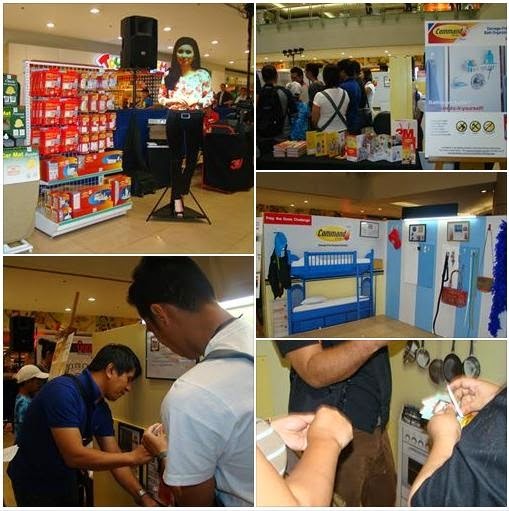 Product samples were given out after covering each booth and a loot upon completion of the 5 booths. Command™ damage-free hanging solutions lets you explore ways to organize, decorate and transform your spaces. Hooks can carry on heavy weight up to one kilo depending on hook type chosen. 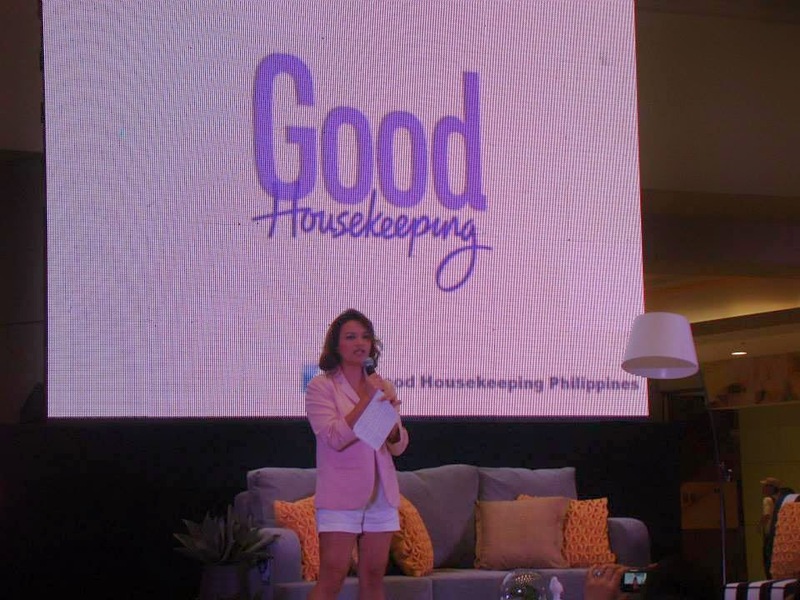 Like Good Housekeeping on Facebook or follow @ghphils on twitter ‎to get updates on the succeeding legs of Get Hooked on DIY!